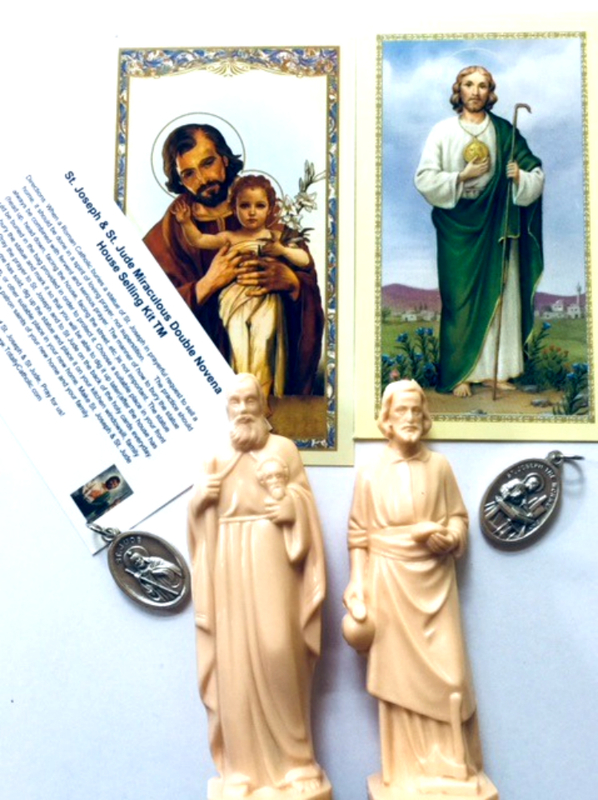 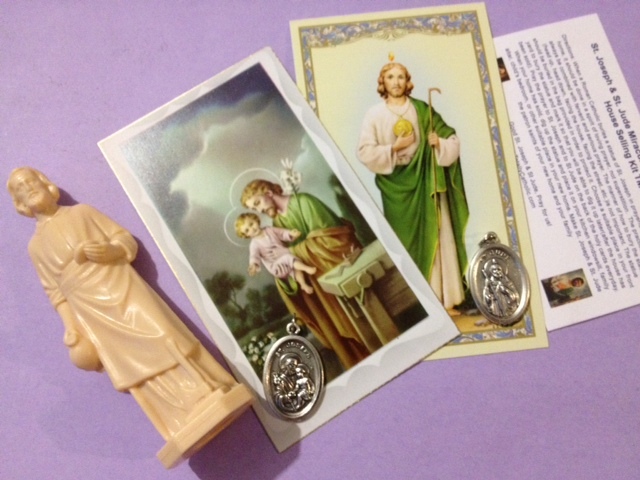 St. Joseph Statues & St Joseph Statue House Selling Kits, now in many different versions! 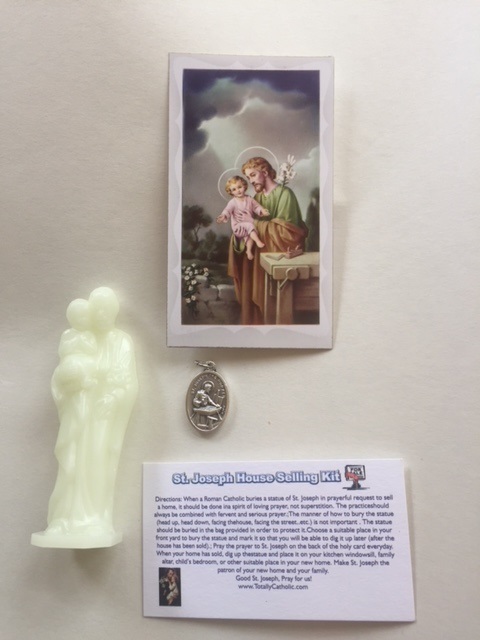 This is based on a tradition from the 1500's which is handed down to us by the great St. Teresa of Avila. 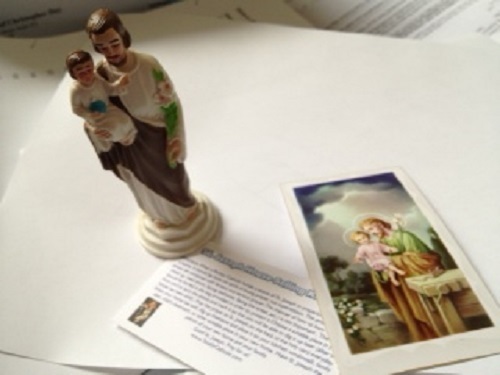 When land was needed to build churches, St. Teresa would encourage her nuns to pray to St. Joseph, and bury statues, medallions, etc of St. Joseph as a sign of faith. 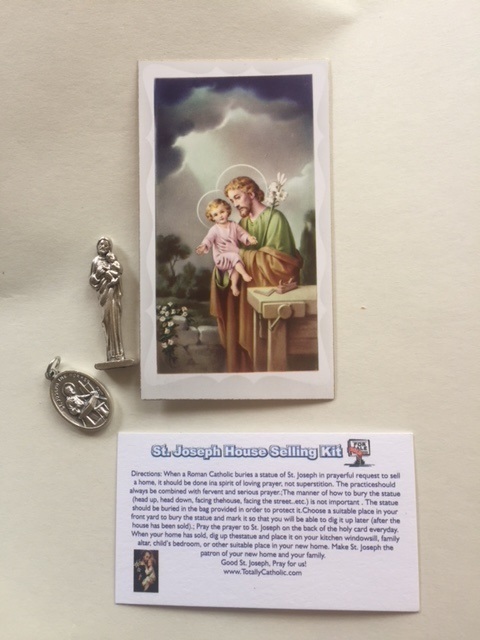 The Roman Catholic tradition of burying a statue of St. Joseph should only be done in accordance to Faith and prayer, not as an act of superstition or luck. 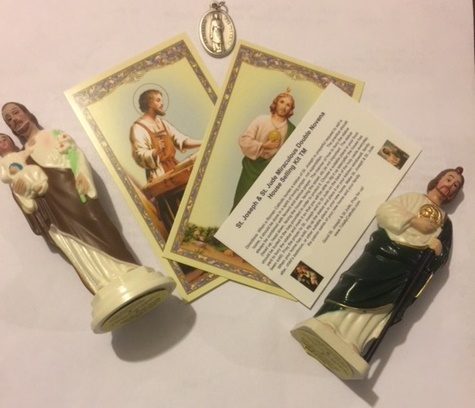 Our kits all include full directions on how you can prayerfully follow this pious tradition along with prayer and faith. 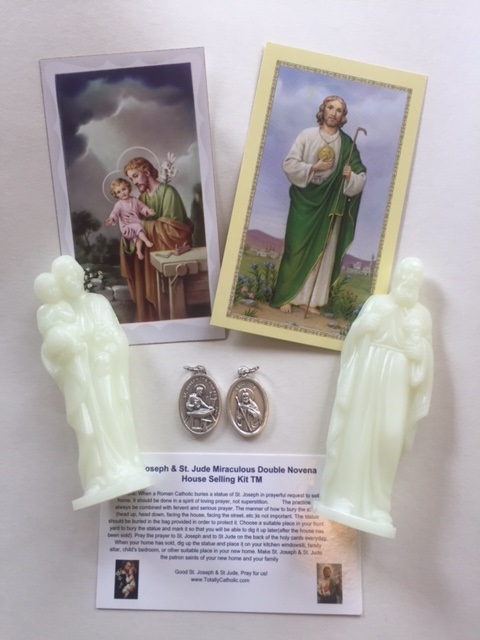 We invented the original St. Joseph statue house selling kit 18 years ago and now have other versions available, including our new "Miraculous Double Novena St. Joseph/St. 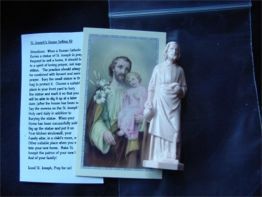 Jude house selling kit" for that house that is especially hard to sell! 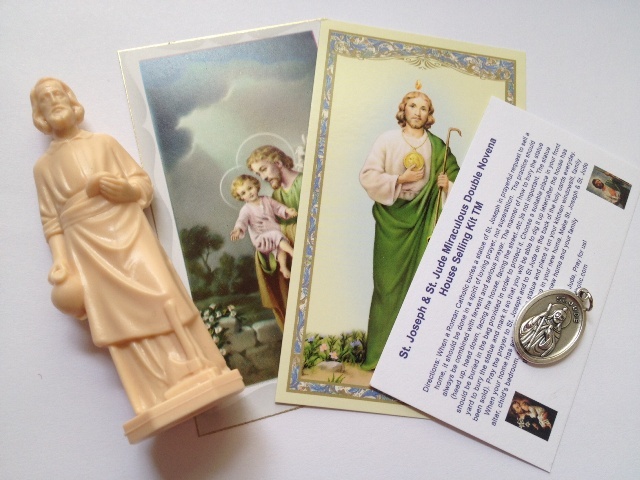 Each Unique St. Joseph Statue kit features a variety of St. Joseph statues and novenas for selling homes. 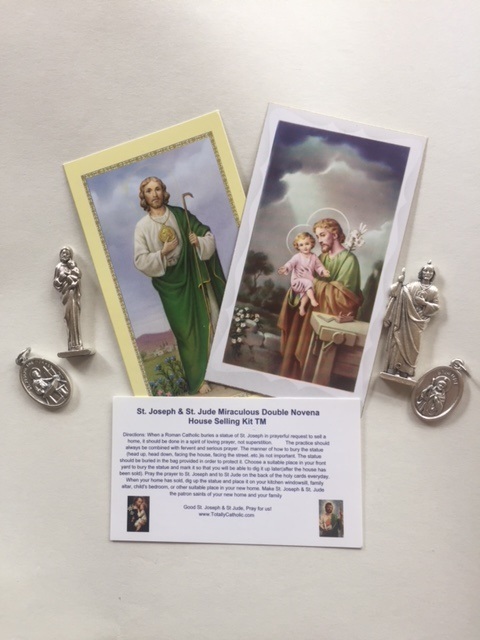 Look here if you are searching for: St Joseph House Selling kit, St. Joseph statue, St. Joseph for selling a house, St. Joseph statues, bury St. Joseph statue,or St Joseph house selling statue.